July 02, 2018 / LBD "Nytetrayn"
It's 2018, and Capcom is spending the entire year inviting everyone to celebrate the 30th anniversary of Mega Man with them! And in one fortunate person's case, that is meant quite literally. 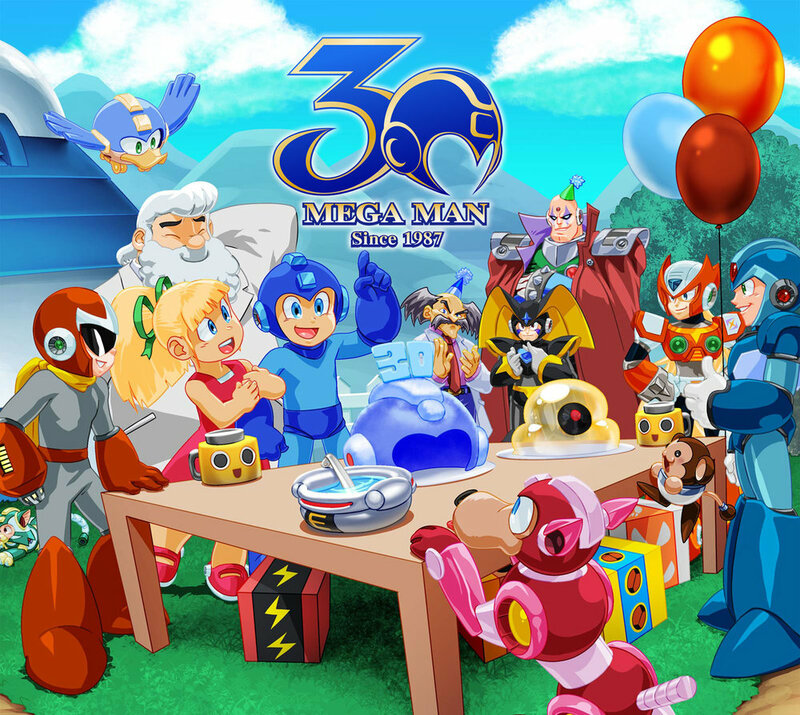 Capcom Unity is holding the "Mega Man 30th Anniversary Sweepstakes," where one lucky winner will be flown out to Tokyo, Japan to meet the developers of Mega Man (Mega Man 11 producer Kazuhiro Tsuchiya, director Koji Oda, and Mega Man X Legacy Collection 1 + 2 producer Daizo Nonaka, specifically) and attend the 2018 Tokyo Game Show. And if that isn't enough, they'll also get to play Mega Man 11 prior to its release, and come away with some rare Mega Man merchandise! So, what's the catch? (Because there's always one, right?) Well, there are two. First, you have to be age 18 or older in order to participate. The other is that you must be a resident of the United States. Yeah, that last one really stings, and so I'm out. But if you happen to meet both qualifications, then you're encouraged to try your luck by entering here, where official rules and further details are provided.